Cells adhere to the ECM, or to other cells, via complexes that can collectively be called anchoring junctions (reviewed in ). These multiprotein complexes are found in all cell types where they they stabilize the cells position, provide stability and rigidity, and support tissue integrity by holding cell sheets together. Anchoring junctions also form a tight seal between neighboring cells to restrict the flow of molecules between cells and from one side of the tissue to the other. Lastly, anchoring junctions regulate the motility of both single cells and cellular masses through their substrates. These anchor points are highly dynamic, primarily associated with actin filaments, and come in many different forms. 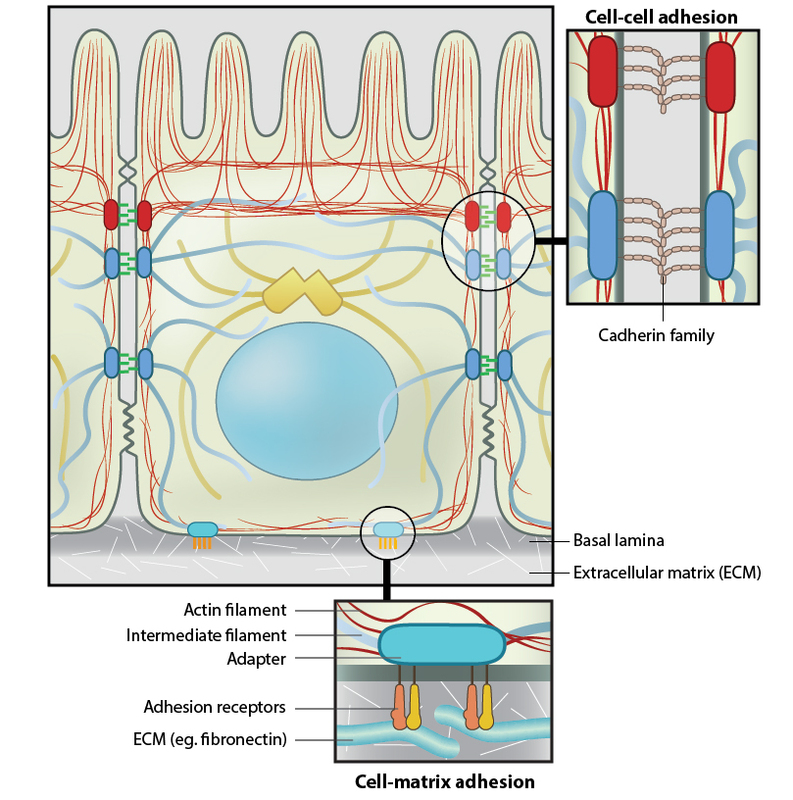 Transmembrane cell-adhesion molecules (CAMs) and/or adhesion receptors in the plasma membrane link the lateral surfaces of one cell to another or the basal surfaces of the cell to the ECM. Examples of adhesion receptors include cadherins (cell-cell adhesions), integrins and syndecans (cell-ECM adhesions). Adaptor proteins connect the adhesion molecules to the cytoskeleton and signaling molecules. Examples include catenins, talin, filamin, tensin, vinculin, and α-actinin. 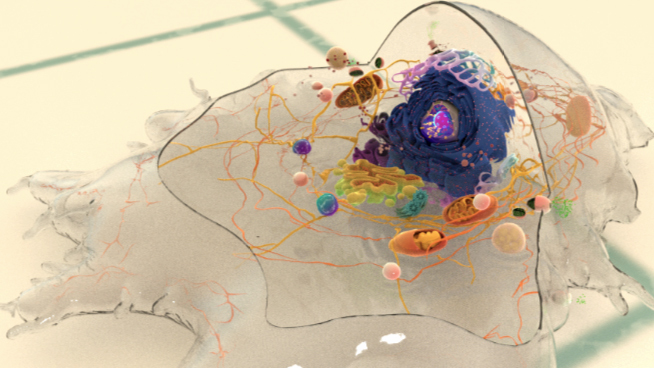 The cytoskeleton itself helps to maintain the cell shape and acts as a force-sensing device (aka mechanosensor). Several types of anchoring junctions have been identified with each involved in distinct types of adhesion. 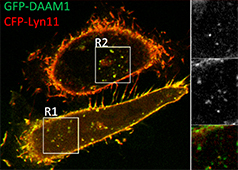 Adherens junctions link one cell to another cell through the actin filament network. These are found in many different cell types. Desmosomes link one cell to another cell through intermediate filaments. They are also found in many different types of cells. Hemidesmosomes link cells to the matrix through intermediate filaments. Certain hemidesmosome components also bind to F-actin (e.g. plectin ). Hemidesmosomes appear to be restricted to epithelial cells. Cell-matrix adhesion complexes (CMACs) link cells to the extracellular matrix through actin filaments. Although they are found in many different cell types, they are particularly important for regulating cell migration in motile cells.